We will always take great care in design, fabrication and construction of our stockyards. Always keeping people safety and animal welfare as our top priority. This means designing the right kinds of yards for the right people, places and product. We have a collective 100+ years of experience, with solid evidence of stock handling facilities that can meet the high standard needed for the safety of Australian cattle producers. To learn more about our custom stockyards, get in-touch with one of our knowledgeable consultants today. What should stockmen look for in a yard? Any stockman will tell you the best cattle yards are built using the most durable of materials. (Tick!) All of our stockyards a built to a high standard using galvanized steel and joinery. A good understanding of stock movement. How does the cattle move in the different areas of your yard? One of the most common complaints (if any) is that existing yards do not have enough access areas or man gates. 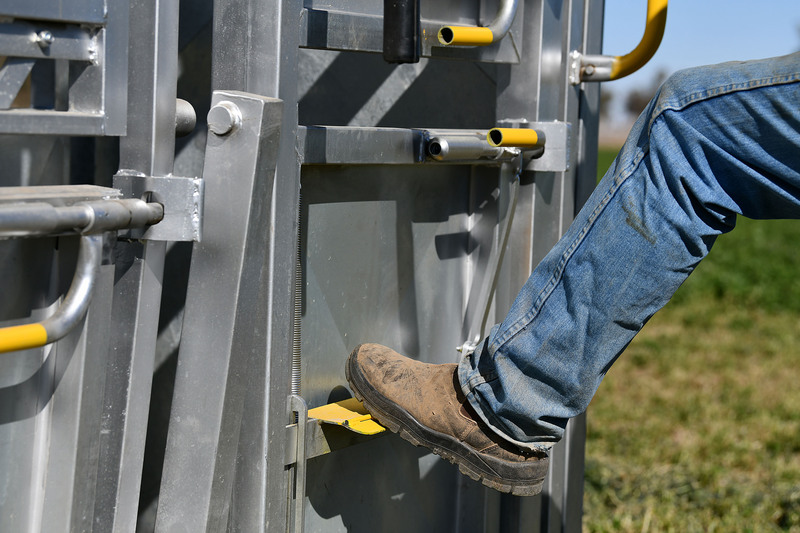 The best cattle yards have efficient access to working areas that help make life easier and safer when handling. At Red River, we do the job once and do it well. Man gates are an important part of the research and design phase and shouldn’t be overlooked as it can render to be a major downfall in the foreseeable years to come. We’ve said it before and we’ll say it again - Quality materials are essential when building a cattle yard. That’s why we use galvanized steel panels and joinery for all of our products. We can custom design elevated walkways to keep operators at a safe working distance. By being up higher in a more commanding position, it can encourage stock to get into formation faster and with more ease for the operator. The operator can use this cultivate a position of power. Keeping operators out of the line of sight of oncoming stock. Being visible can have looming risks that can be avoided if stockyard is designed in a seamless and mindful way. Minimising Risk, one yard at a time. Working with animals in confined spaces always has its risks. 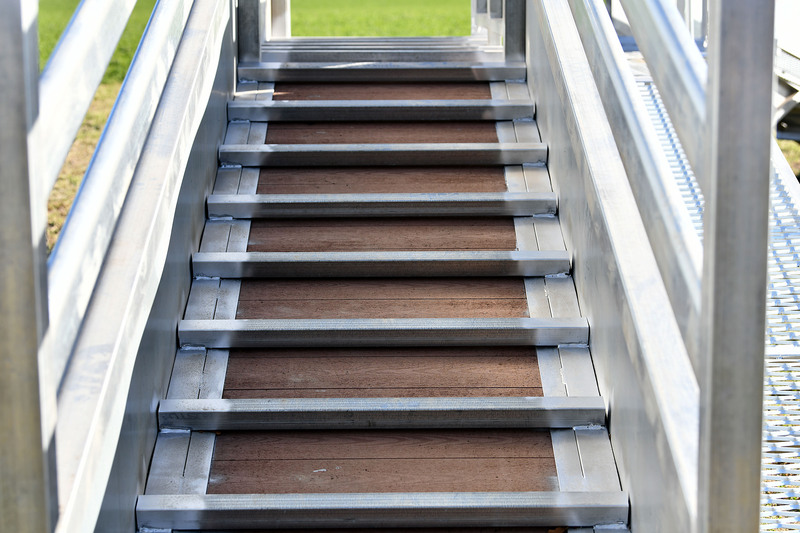 Many injuries result from kicks and gate accidents because of their unpredictable nature. Other accidents can occur from badly designed yards, poor stockmanship or poorly maintained facilities. Thats why its important for Red River Rural to do everything we can on our end to protect our users. Precision in panel construction to avoid broken, loose, tight or unhinging problems. position man gates in the best possible places to reduce workers getting stuck. Well planned yards that naturally and intuitively work with the natural formation of animals - A clear path is visible in the required direction.